Much like the rest of the world, I’ve spent the past few weeks playing RED DEAD REDEMPTION 2. As you might expect, I’m absolutely obsessed with the game. Between its brilliant storytelling, diverse gameplay, and breathtaking environments, RED DEAD REDEMPTION 2 left me wanting more. But what exactly does “more” mean? On the surface, RED DEAD REDEMPTION is about the death of the Wild West. This theme is integral to the tone, setting, and narrative of both games, but it’s a tale you can only tell a few times. These stories require a very narrow time-frame and a very specific setting to work. Because of this, future games could easily become repetitive unless they mix things up. So what’s next for RED DEAD REDEMPTION? How do we move the series forward? How can Rockstar evolve the premise without sacrificing the core themes of the franchise? Well, let’s take a look! What is RED DEAD REDEMPTION Really About? As I said, RED DEAD is, ostensibly, about the death of the Wild West. But there’s more to it than that. RED DEAD REDEMPTION is about the evolution of America. It’s about the inevitability of progress and the dangers that come with it. It’s about false nostalgia, idealizing the “simplicity” of the past. In RED DEAD, the country is changing for better and for worse. The powerful are rushing to stack things in their favor before the people can catch up. 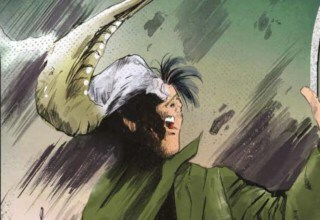 While the villains exploit the future, the heroes are stuck in the past, unwilling to adapt to a strange new world. Of course, any RED DEAD game should stay rooted in classic Western themes. But Westerns aren’t bound by any specific time period. From classic films like NO COUNTRY FOR OLD MEN to beloved anime like TRIGUN, the Western genre is as diverse as they come. In short, this series can go almost anywhere, and tackle almost any time period, so long as it remains bound to these core themes. So, if RED DEAD drops the “traditional” Wild West setting, where could it go next? 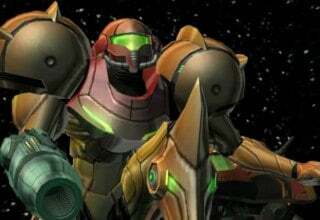 Well, the funny thing is, we actually get some hints in the games themselves. 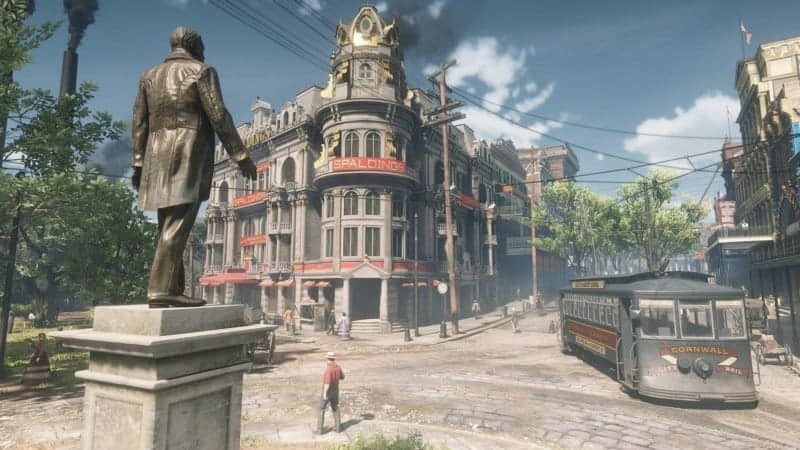 In RED DEAD REDEMPTION 2, there’s a city called Saint Denis. At first glance, it’s a modern utopia. It’s a rich, bustling city, full of culture, industry, and innovation. The town has a modern police force, public transit, and politicians that actually want to improve people’s lives. 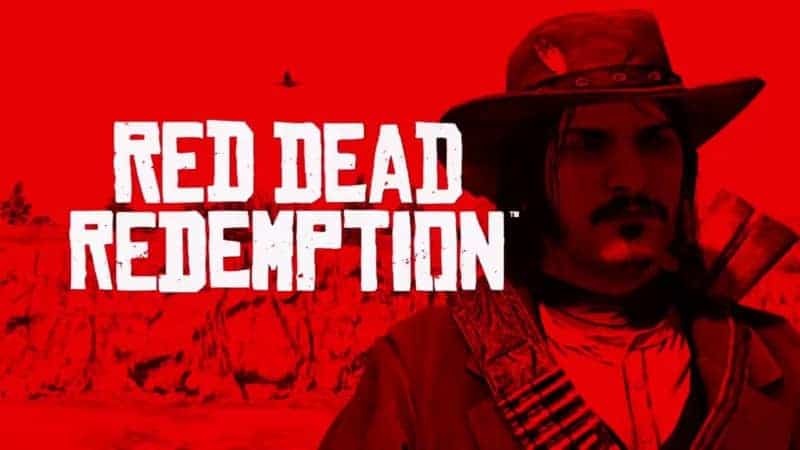 Is this the future of RED DEAD? Image courtesy of Rockstar Games. But beneath the surface, it’s a hotbed of pollution, corruption, and the center of an emerging mafia. The city itself is a window to the future, both for America and the franchise itself. The Saint Denis story arc feels like a prequel to RED DEAD 3. It’s full of new factions and story threads that could easily be expanded upon in future games. It almost feels like they’re teasing us at times, giving us little glimpses at possible sequels. But the inspiration doesn’t stop there. In the original RED DEAD REDEMPTION, we see glimpses of automobiles, federal agents, and modern firearms. Toward the end of the game, John and Jack discuss the emergence of industrial factories and corporations. The world of RED DEAD is packed with potential settings, stories, and conflicts reaching far beyond the 1800s. Rockstar has already proven they can handle these kinds of stories. The next RED DEAD could easily focus on turn-of-the-century gangs, political corruption, and the conflict between nature and technology. 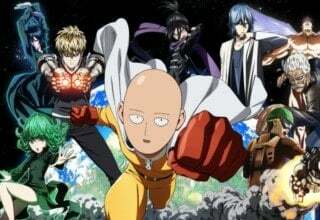 So we’ve got ideas for a setting, but what about the actual plot? Well, the most obvious thing to do is to pick up where the story left off. Minor spoilers for the original RED DEAD REDEMPTION below. By the end of RED DEAD REDEMPTION, players take control of John’s son Jack. At this point, John is a legend, and Jack is torn between filling his father’s shoes and following his own path. Unlike his dad, Jack is optimistic about the future. He’s a bit of a nerd and dreams of being a writer, or even a businessman. But by the end of the game, it’s clear that he still has his father’s rebellious spirit. Is Jack the future of the franchise? Image courtesy of Rockstar Games. Fans have been torn on Jack as a character, but I’ve always wanted to see his story continue in some way. The game could begin with an oil mogul trying to steal Jack’s land at Beecher’s Hope, which is now a small but thriving ranch. From there, the plot could focus on Jack’s transformation from a small-time rancher into a ruthless magnate, as he fights with monopolists, mob bosses, and even the government to preserve what his father built, and to stake his claim on the West. I want to see a RED DEAD story where the protagonist embraces technology and industry. I want to see the other side of the coin. Jack should achieve his ambitions and dreams. But as with previous games, nothing comes easy, or without sacrifice. For RED DEAD 3, I’m imagining a cross between ROAD TO PERDITION and THERE WILL BE BLOOD. A story about ambition, corruption, and crime in a rapidly changing world. Jack will become the most successful landowner in the new West, at the cost of his own soul. Whether you play as an honorable business owner or a corrupt crime-lord, Jack will be forced to compromise his values to protect his employees, his loved ones, and his business. But what about the gameplay? Well, barring a few exceptions, it should feel similar to previous games. As you explore, you’ll see a lot more modern cities dotting the countryside. Smokestacks and oil derricks are a constant presence, casting long shadows over the landscape. Along with horses, you’ll be able to drive primitive automobiles. Because of Jack’s upbringing, he likes to handle “business” personally. Many missions will revolve around defending Beecher’s Hope from rival businesses, keeping the mafia off your back, and stamping out the competition by any means necessary. Instead of dealing with a bounty on your head, you’ll use your growing funds to bribe local officials. Of course, you’ll be able to wield classic revolvers, but there will be a large selection of semi-automatic weapons, as well. And what would a game set in the 1900s be without a classic Tommy gun? 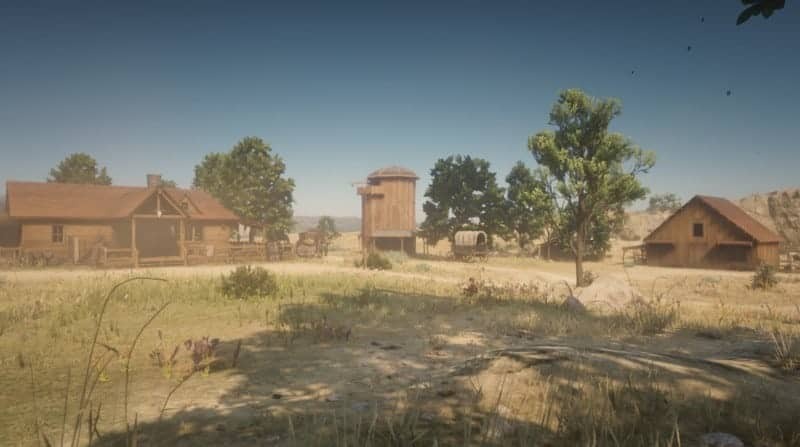 To reflect Jack’s status as a business owner, the gang system from RED DEAD 2 should be refined and expanded. Instead of a shoddy bandit camp, Jack’s base of operations will be at Beecher’s Hope. There you can donate funds, produce resources, and improve your home. You can also hire new employees to perform various tasks, who act as secondary characters in the story. Of course, business management should never distract from the core gameplay. It should feel relatively simple, intuitive, and rewarding to transform your small ranch into a modern corporation. Not everyone is going to be on board with these changes. Some people will want the series to stay how it is. But in order for RED DEAD to continue, it needs to evolve. By moving the story forward, by embracing a new time frame and a new narrative, we’re staying true to the spirit of the franchise. But these are just our ideas. What are yours? 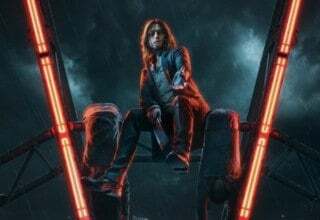 Where do you think the series should go next? 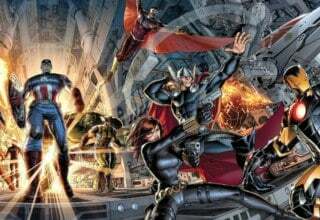 Previous article What Happened In The AVENGERS: ENDGAME Trailer? I would love love love this. Also, the first World War had a major impact on Jack’s generation, leaving most young men of the era either dead or broken. Imagine Jack has to serve in Europe and witnesses first hand the destruction that technological advancement can bring with it.